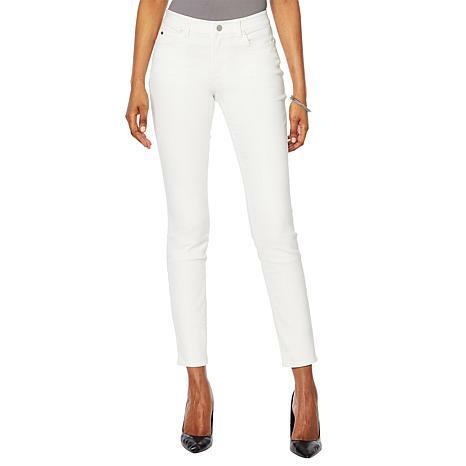 lI love these white jeans!! I'm always looking for the perfect white jeans; ones that don't add weight, are comfortable, hit me in the right spot on my waist and aren't see thru. Well, I have now found them. They have an expensive style and cut while being extremely comfortable and wearable.